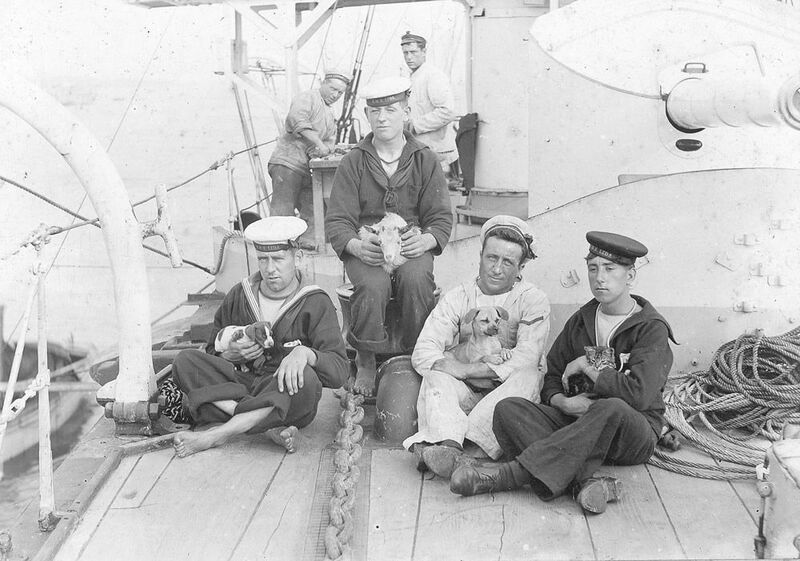 Crew of the torpedo gunboat HMS Leda (launched 1892) on board ship holding pets including, two puppies, one cat and a goat. Taken circa 1900. This Ship's Pets on HMS Leda Art Print is created using state of the art, industry leading Digital printers. The result - a stunning reproduction at an affordable price.